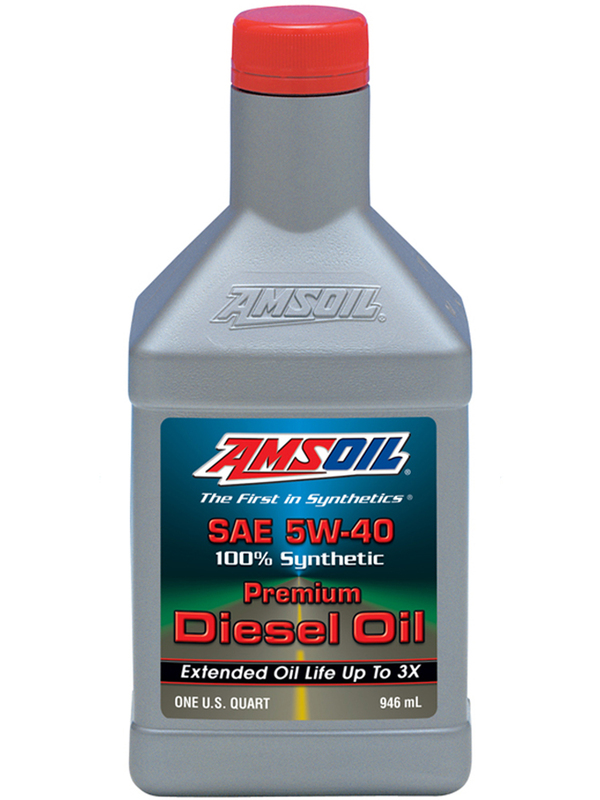 AMSOIL Premium 5W-40 Synthetic Diesel Oil is the premium choice for API CJ-4 emission-quality diesel oil required by model-year 2007 and newer diesel engines. It delivers extraordinary lubrication in diesel engines found in commercial, fleet and personal vehicles. 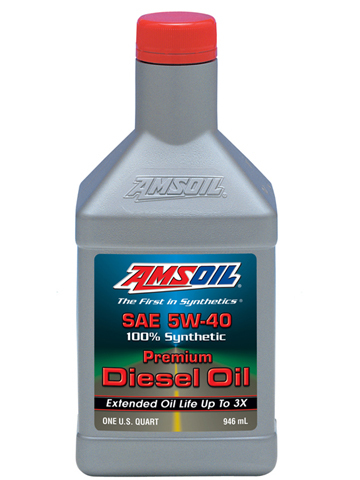 Built with the best additive and synthetic base oil technology, AMSOIL Premium 5W-40 Synthetic Diesel Oil exceeds the higher performance demands of modern engines. It withstands the stress of heat, soot and acids to help prevent deposits, wear and corrosion. AMSOIL Premium 5W-40 is wax-free with a broad viscosity range to provide exceptional cold-weather starting and high-temperature protection. It resists breakdown and offers maximum fuel efficiency over extended drain intervals. AMSOIL, the leader in automotive synthetic lubrication, produced the world’s first API-qualified synthetic motor oil in 1972. Trust the extensive experience of AMSOIL, The First in Synthetics,® to do the best job protecting your engine.